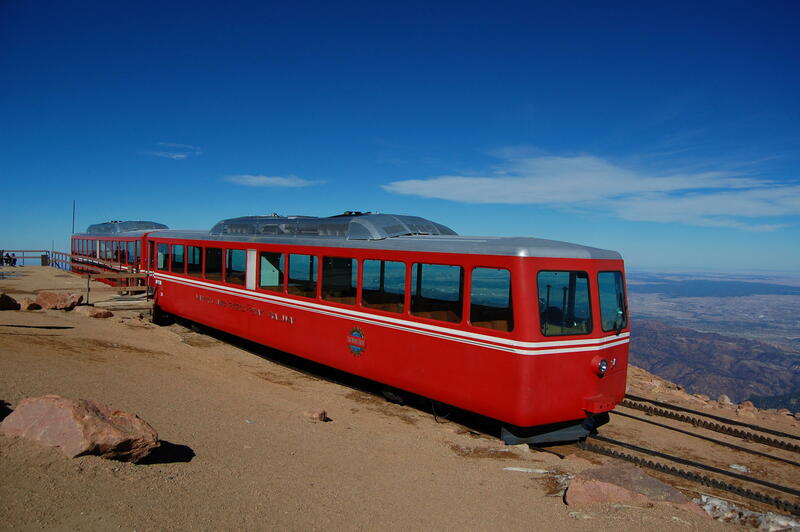 The Pikes Peak Cog Railway, a popular tourist attraction, has been closed since the fall of 2017. The lawsuit takes aim at a deal that would cap the level of taxes paid over the next 50 years by the Broadmoor, which owns the cog. In exchange, the hotel will repair and reopen the attraction, which has been closed since last fall, and needs an estimated $80 million overhaul. The Broadmoor has also agreed to pay the city $500,000 annually over the next two years to make up for lost tax revenue while the railway is closed for maintenance. The city has said the deal will keep the community from losing out on the economic benefits that the cog provides -- both in terms of tax revenue and as an important draw for tourists who also spend money elsewhere in the city. John Shada is a plaintiff in the suit, and a former Manitou Springs City Council member. He said the deal gives away too much money to the Broadmoor, and he’d like to see the issue put on the ballot for voters to approve or deny. "We’re asking for a declaratory judgement that this [deal] was a legislative matter and that legislative matters, by the city charter in Manitou Springs, are allowed to go to a general election vote," he explained. The city previously denied a petition to get the issue on the ballot, saying it's a city contract -- not a legislative matter -- and votes aren’t allowed on contracts. Manitou Mayor Ken Jaray said he stands by the deal and believes it’s the right thing for the city. He added that idea of asking residents to vote on the proposal simply isn't practical. "Are we having a referendum on 'Do we want the cog or not want the cog?' Are we having a referendum on the specifics of the deal -- and if so, which specifics? So it’s just not the kind of thing you can vote up or down, there’s all kinds of complexities to this," said Jaray. The lawsuit was filed Tuesday in El Paso County District Court. A formal response from the City of Manitou Springs is expected soon.